We’d love your help. Let us know what’s wrong with this preview of Ivory and Bone by Julie Eshbaugh. Traveling from the south, Mya and her family arrive at Kol’s camp with a trail of hurt and loss behi Two clans. Only one will survive. To ask other readers questions about Ivory and Bone, please sign up. Julie Eshbaugh Hi! I did do a lot of research, but I honestly loved it because (like you!) I'm fascinated by prehistory. I read four books, tons of scholarly…moreHi! I did do a lot of research, but I honestly loved it because (like you!) I'm fascinated by prehistory. I read four books, tons of scholarly articles, visited museums, and studied a lot of maps. I also read up on hunter-gatherer societies, edible plants, how spear points are made, how to tan a hide, and lots of other details. I'm still reading a lot as I write Books Two and Three. Will this be a series or a standalone? “Do you like to hunt for beehives?” my mother asks. Those bees led us to the shade in the foothills of the mountains. We discovered their hive in the middle of a stunted poplar, growing in a secluded grove protected by sharply rising cliffs at the edge of the meadow. Ivory and Bone does not merit an angry, ranting 1-star review. It honestly doesn't evoke that much emotion. In fact, the book's greatest crime is how exceptionally boring and forgettable it is. It's a bold premise: a Pride and Prejudice retelling set in the Neolithic era (the later part of the Stone Age, or around 10,200-4,500 BC) with genders reversed. A challenging concept for any author, and sadly, Eshbaugh doesn't do it that well. Anyone seriously on the lookout for an Austen retelling won't find it here, except in the very basic sense that there's a romance and a silly misunderstanding. I can guarantee that anyone coming to this book unaware of the supposed P&P aspect will fail to make the connection. "Retelling" is a marketing buzzword these days - that is all. It must be incredibly hard to write a modern novel set in the neolithic era, so kudos to the author for trying. But the reality is that the plot (can we even really call it that?) is so freaking slow. Their lives are made up of hunting, extracting honey from bee hives, and locating medicinal plants. Maybe it is realistic, but it's not compelling. When another clan arrives in Kol's life of hunting and gathering, he is instantly obsessed with Mya - an instant crush that never excited or interested me. The novel is written from Kol's POV and is addressed to "you", meaning Mya. This was actually a major selling point for me - I thought it sounded great - but it's a dry, awkward narrative and makes the storytelling difficult in parts. While the drab daily events are convincingly neolithic in nature, the conversations are not. Again, I appreciate how hard this must be, but it was particularly jarring to be pulled out of the story by language that felt very modern. Perhaps it is possible that this kind of story simply doesn't work. The slow beginning and middle does eventually give way to a rather chaotic climax, but it proves once again that fast pacing doesn't always equate to an engaging story. It felt messy, and by that point, I had already slumped too far into not caring to pull myself out. Slow, dull, and lacking in general personality and charisma. This book touts itself as Pride and Prejudice in the prehistoric era. It is an unique concept, for sure, but unfortunately, I didn't find it to be very good. The Pride and Prejudice element in this book is a far, far stretch. A misunderstanding (and a not very good misunderstanding at all, I literally read the "misunderstanding" part over 5 times just to convince myself that I was reading it correctly and not missing anything). A bad person who is not what they seem. But really, if those are the This book touts itself as Pride and Prejudice in the prehistoric era. It is an unique concept, for sure, but unfortunately, I didn't find it to be very good. The Pride and Prejudice element in this book is a far, far stretch. A misunderstanding (and a not very good misunderstanding at all, I literally read the "misunderstanding" part over 5 times just to convince myself that I was reading it correctly and not missing anything). A bad person who is not what they seem. But really, if those are the only elements that are similar to Pride and Prejudice within this book, can't every other book written ever be compared to Pride and Prejudice since the bad guy and the misunderstanding is almost always a component in every work of literature? Furthermore, this book was slow. Exceedingly slow. Yeah, so was the original, but the original had writing and atmosphere and complexity. It had class and social differences. It was ahead of its time. For me, this book did not stand out for me in any way. This book is set in prehistoric times, when mammoths and saber-toothed tigers roamed the earth. Interesting in theory, yes, but the setting just did not draw me in. It may be a matter of book chemistry as it is anything, because I don't think there's anything wrong with the writing - for me, it just lacked soul, however vague of an element it may be. Furthermore, the setting pretty much blasted me back to reality once the word parka was mentioned. I'm sure they had prehistorical animal parkas, but what a terrible modern term to use for an ancient article of clothing. I can't fault the author - this is a difficult concept to execute authentically. The character speak in modern speech, and while I am glad they didn't grunt or speak in "me Tarzan you Jane" speech, neither did it feel real. Furthermore, the main character (a boy) seems to think in a very stereotypically feminine manner of thought. Overall, this book, while ambitious in scope, was a disappointment. For a more entertaining book about prehistoric times, I recommend The Clan of the Cave Bear instead, although be warned that it is a very much adult novel. So what is Ivory and Bone? An incomparable masterpiece. A bold work of art in a genre saturated with voices of similitude. An antediluvian dystopian love story riding an obsidian knife-edge between life and death. Imagine, for a moment, a world with no internet. No cell phones, no wi-fi, no Starbucks, no television, no cars, no Coldplay, no bookstores, no single-serve slices of red velvet cake and the individually wrapped plastic fork to go with it. And yes, sadly, no Goodreads. So what is Ivory and Bone? And yes, sadly, no Goodreads. Imagine a world so breathtakingly beautiful and dangerous, so hard and cold and brutal, yet bristling with colors that will never be brighter and enormous landscapes unmarked by the will of humankind. In this world, every step could be your last, and every breath is spent in the fight for survival. So, as creatures forever striving with their environment, humanity itself faces extinction. And in this world, what would be the greatest of all life and death dramas? What would be the hardest and most important of all choices? Unforgettably gripping, author Julie Eshbaugh marvelously weaves the tale of Kol through first/second person narrative, harkening back to the oral tradition in which such a story would’ve been passed down from generation to generation. Kol’s account zips with the furious excitement of the hunt and the buzz of seeing the young and beautiful woman of his destiny but breathes with a musical sense of peace and stillness through tender moments and reflections of pain, with Eshbaugh’s subliminal grip of our senses as a reader as deft as it is sensitive. Not to be missed, Ivory and Bone is a one of a kind work that resonates with a sense of personality and intimacy uncommon to the trendy flash and fancy of modern YA, and I am so deeply grateful to Julie and HarperTeen for an ARC of this perfect tale. And while there is an allusion to Pride and Prejudice, I do think it would be unfair to call this a retelling. 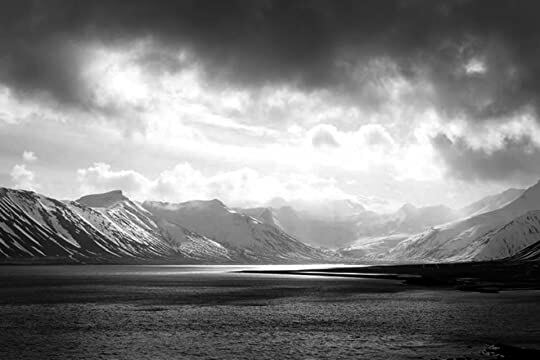 Ivory and Bone is such a unique and beautiful story, it deserves to stand on its own like a mountain against the sky. The only thing remotely good about this book is the cover. Am I the only one who felt deeply uncomfortable being spoken to by the main character as if I were his lover? I've been excitedly following Ivory and Bone updates ever since I first heard about its sale in 2014, and it's only grown over time as I discovered the cover, the synopsis, and the spectacular author of this book. Opening to the first page of this book felt like an exciting start to a long journey, a blast to the past. Kol, the eldest son of the clan leader, knows change is coming to him and his clan. As the clan struggles to determine if they should move because of the dwindling food supply, Kol I've been excitedly following Ivory and Bone updates ever since I first heard about its sale in 2014, and it's only grown over time as I discovered the cover, the synopsis, and the spectacular author of this book. Opening to the first page of this book felt like an exciting start to a long journey, a blast to the past. Kol, the eldest son of the clan leader, knows change is coming to him and his clan. As the clan struggles to determine if they should move because of the dwindling food supply, Kol also has another pressure to find a suitable wife. He meets the stubborn and guarded Mya from another clan and although it's pretty clear those two are being set up, they both create a dislike for one another. As another rival clan comes into the story, tensions rise and calls of war sound. There aren't many young adult books on the Ice Age time period, and Ivory and Bone already stands out for this reason. There is proof of extensive and fascinating research on the era, and the details Julie feeds the readers catapults us into that time. She weaves in so much interesting culture and traditions that give this book a sense of wonder. I could see the mammoths, I swayed to the clan's music, I paddled as fast as I could through the water along with Kol. In Ivory and Bone the two central characters are essentially being groomed as the next leaders of their respective clans. Seeing them make the hard choices, determine the type of leaders they'd want to be in the future, and how they'd want to lead was amazing. There is no love triangle in this book to clarify as many have been asking. The slow-burn romance is both infuriating and lovely at once. It's one of those stories where you ache for them and just want to scream "KISS ALREADY" and potentially mash their faces together... A big part of this story is about change. There is so much change happening in this story and little do they know that more is coming! I mean it is the Ice Age. I LOVED THIS BOOK SO MUCH, OH MY GOSH. I don't even know how to write a review for this book. I don't know what else to say other than I loved it. I really liked the characters. They weren't over the top or crazy original but they weren't bland. They were normal but interesting. I was very u I LOVED THIS BOOK SO MUCH, OH MY GOSH. I was very unsure about the love triangle (you know how much I loathe love triangles) but holy crap. I didn't hate this one. I actually kind of liked it. I know, it's shocking. But it actually adds to the story. But the thing that I loved most about this book, the thing that makes this book one of my all time favorite books, is the concept. This is blurbed as a "A prehistoric fantasy—with allusions to Pride and Prejudice". And let me tell you, that's a perfect blurb. It's confusing, I know, but trust me. It's amazing. There's mammoth hunts and saber tooth cats and it's amazing. I really enjoyed this debut! The one thing I didn't love about it were the infodumps, BUT I still felt like the information about this world was revealed very naturally. Kol learns about the other clans as he meets them so of course he couldn't tell us about the world until he'd been told himself. The infodumps could have been a bit subtler, but I still really enjoyed this story. 1. It's a prehistoric time period. 2. It's told in 2nd person narration. 3. It's inspired by Pride and Prejudice. Mammoth hunts and saber tooth cats may not be as dangerous as falling in love. Beautifully imagined, IVORY AND BONE is set in the Stone Age, with intriguing interpersonal relationships reminiscent of Austen. It's a compelling hate-to-love story, and the voice is poetic and charming (a story-teller 1st & 2nd person). The family obligations and marriage maneuvering were rich and charming, especially seen through the eyes of Kol, clan-leader in training. He's a keen observer of the world and emo Mammoth hunts and saber tooth cats may not be as dangerous as falling in love. The family obligations and marriage maneuvering were rich and charming, especially seen through the eyes of Kol, clan-leader in training. He's a keen observer of the world and emotions around him--except when it comes to Mya, who confounds him in the best Austenian ways. Mya is strong willed but vulnerable--fiery and quick and knowing--I totally fell for her along with Kol. 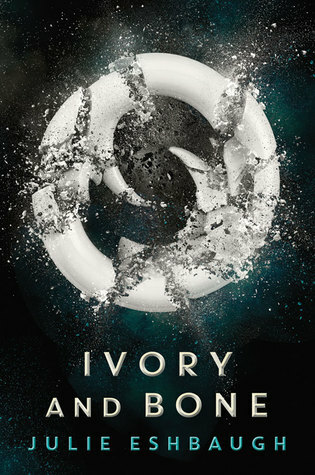 IVORY AND BONE was a fantastic read that kept me up wayyy past my bedtime--I couldn't put it down until I knew what happened to Kol, Mya, and their clans in the gripping finale. This is supposed to be a gender swapped retelling of Pride and Prejudice set in prehistoric times, and while the premise sounds promising, it falls completely flat. I felt no connection to any of the characters, and the plot wasn't at all compelling to me. Honestly, I'd finish a chapter and immediately forget everything that happened because I felt that disconnected from the story. Overall I didn't really have any glaring problems with this book, it was just utterly dull and forgettable. An ARC has been provided in exchange for an honest review. Once in a while a book comes along that sounds like it's been written exactly for you. You cross all your fingers and toes, hoping and praying it lives up to all of your dreams and then some. When I first read the description for IVORY AND BONE, I knew I needed to read it immediately. This book spoke to me. Mammoths. The great ice. Clans of strong, resilient people on the brink of violence mixed with Mother Nature’s own harshness. It brou An ARC has been provided in exchange for an honest review. Once in a while a book comes along that sounds like it's been written exactly for you. You cross all your fingers and toes, hoping and praying it lives up to all of your dreams and then some. When I first read the description for IVORY AND BONE, I knew I needed to read it immediately. This book spoke to me. Mammoths. The great ice. Clans of strong, resilient people on the brink of violence mixed with Mother Nature’s own harshness. It brought me back to my childhood, when I'd spend hours wandering the halls of the Museum of Natural History in NYC. I loved staring at the large Mammoth skeleton, imagining what life would have been like then, admiring and respecting those who came before us. Julie Eshbaugh has brought all of my dreams to life and elevated them in this masterful debut. I could close my eyes and hear the rush of wind through the grasslands, smell the earth turning in the seasons, and feel the bite in the air as the breeze blew off the Great Ice. My heart pounded with prehistoric danger lurking just out of sight, tracking and hunting the brave hunters. Daughter of Smoke and Bone, Shadow & Bone, what is it with YA and bones? This gender-swapped adaptation of Pride & Prejudice set in prehistoric times with mammoths is so clever. Basic plot: Kol's mother is desperate to have her sons married since their clan doesn't have any girls their age. Two girls from a different clan show up (Darcy & Bingley) and the familiar story unfolds. The stuff with Wickham turned into something that suit the setting better, but a surprising amount translated really well! The first 80% is narrated like Elizabeth is telling her versi This gender-swapped adaptation of Pride & Prejudice set in prehistoric times with mammoths is so clever. Basic plot: Kol's mother is desperate to have her sons married since their clan doesn't have any girls their age. Two girls from a different clan show up (Darcy & Bingley) and the familiar story unfolds. The stuff with Wickham turned into something that suit the setting better, but a surprising amount translated really well! The first 80% is narrated like Elizabeth is telling her version of how everything unfolded to Darcy. It felt like it was set in Canada or somewhere like that based on the description of their kayaks, landscape, and wildlife? The descriptions of everything were so beautifully done and really brought the time period & setting to life. Like Kol measures time in how long it would take an echo to fade or a snowflake to melt, and describes his gangly younger brother as "hewn and awkward like an unfinished stone tool." There are so many cave analogies, too. I don't think I've ever read a book in this setting/time and it was just really cool to see it done so well! People who aren't Jane Austen fans will still love this because it's an extremely loose retelling. It by no means relies on Jane Austen's plot and you probably wouldn't notice the similarities unless you're obsessed with P&P. I was just having fun spotting how the two stories could fit together! DNF at page 80 because I don't want to keep reading about animals being killed. VIDEO REVIEW AT THIS LINK! So dull. So so so dull. So many promising elements, and none of them came together. I was lucky enough to read an ARC of Julie Eshbaugh's masterful debut. This is a book I've wanted to read since I first heard about it--a YA novel set in pre-historic era is unlike anything else I can think of in the market right now. I wasn't entirely sure what to expect going in, but that didn't seem to matter--Eshbaugh drew me in almost at once with her sharp prose and interesting characters (and she manages to pull off a second-person narration, which can be extremely hard to do). 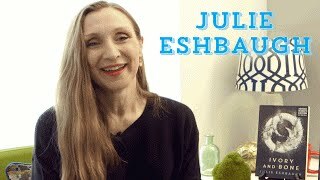 Ivory and I was lucky enough to read an ARC of Julie Eshbaugh's masterful debut. This is a book I've wanted to read since I first heard about it--a YA novel set in pre-historic era is unlike anything else I can think of in the market right now. I wasn't entirely sure what to expect going in, but that didn't seem to matter--Eshbaugh drew me in almost at once with her sharp prose and interesting characters (and she manages to pull off a second-person narration, which can be extremely hard to do). Ivory and Bone follows Kol and his family, a pre-historic clan living on the fringes of the great ice, where they hunt mammoth and other animals for meat and furs. The world Eshbaugh describes is one of incredible beauty and incredible danger, and that tension undergirds Kol's story, as his family--already worried about the future of a clan in which there are no young women for Kol and his brothers to marry--celebrates the arrival of Mya, her sister and her brother, members of a thriving clan to the south. This arrival promises welcome alliances and friendship between the clans, but almost at once, Kol and Mya find themselves wary of one another--a hesitation that's only complicated by the arrival of still a third clan and the slow unveiling of deep-held secrets that might destroy them all. I can't do this. I hate second person. It makes me feel gross and I just can't. I'm not going to rate the book at all purely because I got like 50 pages in and couldn't anymore. The story is probably fabulous. The writing perspective is just not my cup of tea. Which really stinks because I love pre-historic settings. UGH! I love historical fiction books, so can you imagine my excitement when I found out about Ivory and Bone. It is a prehestoric fiction set in Stone Age. I'm sure I haven't come across anything like this book yet, so yeah. For a certain time, I was on an excitement overload. And then I read the book. I can't say it was everything I expected and hoped for, but in the end, it was satisfying. There is one thing though that Eshbaugh managed t This review is also posted on my blog, Anatea's Bookshelf. I love historical fiction books, so can you imagine my excitement when I found out about Ivory and Bone. It is a prehestoric fiction set in Stone Age. I'm sure I haven't come across anything like this book yet, so yeah. For a certain time, I was on an excitement overload. And then I read the book. I can't say it was everything I expected and hoped for, but in the end, it was satisfying. There is one thing though that Eshbaugh managed to do that no author did before her. She wrote a book in second person and I didn't DNF it. Usually, alone the thought of a book wrote in 2nd POV makes me run away, but it actually worked pretty well here. It's hard to explain, but it wasn't your normal 2nd POV. The story is told from the first POV - Kol tell's the story, but he is telling it to Mya. So everytime he goes "I" he's talking about himself, and when he says "you" he is talking about Mya. It was different, but I liked it. There were no girls Kol's age in his tribe, so when they get three visitors and two of them are girls the right age from the neighboring tribe, the excitement is running high. Kol immediately notices Mya, but the problem with her is that she doesn't really reciprocates those feeling back. She is very rude and cold towards Kol, and once again Kol finds himself desperate to find a wife. He is the oldest son of the High Elder of their tribe and he is responsible for the future of their tribe and family name. But soon they get another visitors from their other neighboring tribe. Kol seems to get much better along with Lo than Mya, but soon all kinds of past fights and disagreements resurface and it all ends with a war. Writing a historical fiction is always a hard task and the author did a great job with writing a believable prehistoric novel while still making it appealing to the readers. She did quite a great job with showing readers the prehistoric ways of Stone Age. She described mammoths hunting, gathering the supplies and making their own clothes very well. But even though those things were great, I was quite bored throughout the book. I seemed to breeze through the book, but I was also very bored. Now I'm not sure why I was bored, but my guess is because there was not much action. Yes, there was hunting and fights and all those action things, but there were also long paragraphs about lots of unnecessary things and not much dialogue making the book come off as somewhat boring. I loved Kol. He was so sweet and considerate and brave. He easily became one of my favorite lead male characters. With Mya it was a different story. I thought she was very rude and ungrateful at the beginning and even though I knew there was probably a reason for her acting that way, I never could like her as much as I was supposed to. The romance between them is a slow burning kind of romance and I have to say I was so scared it would be an insta-romance with love-triangle, but I am so glad it wasn't neither of those things. In most of the books these days, the romance plays the main role, but in the Ivory and Bone, it was present, but it didn't steal the spotlight from other important things. I am really glad the focus was more on tribal history and tribal relations inside the tribe as well as outside the tribe. I loved learning about how they formed relationships with other tribes, and I loved learning the value of family in this book. This aspect of the book was definitely done well. If there weren't boring parts in Ivory and Bone, I am sure I would have given it much higher rating, but this way, when I compare it to the other books, I realize I like them better and I would choose to reread them before Ivory and Bone. But that doesn't really matter much, I am still very much excited to read the next book! This book was beyond my expectations. I thought I knew what I was in for. But my GOD, this was Unbelievable........and NOT what I was expecting at all. Julie Eshbaugh’s writing is elegant, detailed and fascinating. From the beginning of this story I was engaged. One of my favorite elements from Ivory And Bone by Julie Eshbaugh was how it felt as if this story was written for me. It felt like, I come across an old letter. It was really fascinating. It’s something, I NEVER have seen or even heard of and I really LOVED IT!!! To me this book was “EVERYTHING” I love this time period and the wildlife, so this novel, was just what I needed. Especial since winter has come to an end and I’m dying to explore more of Adirondacks Mountains in NY during the summer days. ¡Qué necesarias son las medias estrellitas en Goodreads! Y es que por poco Marfil y Hueso no ha llegado a las 4 estrellitas, ¡ha sido una lectura muy buena! Cuando conocí la publicación de este libro, inmediatamente me llamó la atención. ¿Ficción histórica ambientada en la Prehistoria? ¡Deme 20! Ya en serio, desde pequeña he sentido una especial atracción por esta época histórica, y si bien mi experiencia leyendo novelas ambientadas en dicho periodo es bastante reducida, no pude evitar sentirme llamada por esta historia. Marfil y Hueso presenta una idea sencilla de base pero muy bien ejecutada. En ella, se suceden diferentes acontecimientos que implican tres clanes distintos, que tienen un pasado común y que están relacionados por unas cuantas rencillas, secretos y sucesos del pasado que, en el transcurso de esta primera parte, van saliendo poco a poco a la luz. Todo este entramado de historias giran entorno al clan Manu, al que pertenece Kol, hijo del Gran Sabio del clan y narrador de los acontecimientos. Kol es el encargado de contar su historia a Mya, del clan de Olen, situado al sur de la bahía y localizado en tierras más cálidas. Y aquí es donde encontré uno de los aspectos más positivos de la novela: está predominantemente narrada en segunda persona, como si alguien hubiera grabado el testimonio de Kol y hubiera plasmado en el papel. No dejan de resultarme atrayentes las novelas que emplean este tipo de narración, más en tiempo presente, porque me resulta desconcertante sentir que el propio libro, sus personajes, se dirigen a mí en particular y nadie más. Aunque supiera que se refería a Mya todo el tiempo. Me ha encantado también todo el entramado de secretos que ya he comentado. Los clases Bosha, Manu y Olen, se encuentran en diferentes grados de desarrollo y prosperidad, si bien todos tienen el mismo objetivo: sobrevivir y prosperar. Poco a poco se van conociendo los detalles de su pasado en común, de forma dosificada y manteniendo la intriga en todo momento. Aunque no es un libro en el que predomine la acción, estos elementos ayudan sin duda a mantener al lector interesado en la lectura, con determinados acontecimientos que desembocan en un final que sí tiene esa acción. Como faltas, quería indicar que me ha faltado algo y no sé qué. Cierta carisma o cierta personalidad en el libro que no he encontrado, si bien me ha gustado mucho. Además algunos lectores consideran ésta, una novela retelling de Orgullo y Prejuicio, y bien podrían tener razón. Aunque ésto no es algo que perjudique el valor intrínseco del libro. Lo que sí me parece poco acertado, son los fallos históricos. Por ejemplo, que los personajes hablaran de años. Éste es un concepto mucho más moderno, en este periodo lo normal es que se guiaran por ciclos estacionales, lunares, horas de luz o la rotación de los cultivos, pero jamás pensarían en años. Es cierto que en algún momento sí se hacían pequeñas referencias de este estilo, si bien no era lo normal. También me ha faltado alguna especificación de dónde se localizaban los clanes, ya que aunque por conocimientos previos puedo deducir que están en Europa, no creo que sea algo deducible para lectores más jóvenes. Ese tipo de información, que he echado en falta, hubiera ayudado a darle más rigor histórico a la novela en sí. This book. THIS BOOK. Wow. From the first sentence I was amazed. How can you not be amazed by Ivory and Bone. This is the first book that I have ever known to be set in PREHISTORIC times. DO YOU KNOW HOW LONG I HAVE WAITED TO READ SOMETHING THAT IS PREHISTORIC YA!?! Honestly my wish has been answered. I wonder why more authors don't dive in to the area of prehistoric fantasy. (Note to self: Well if you complain about the lack of prehistoric fantasy then go write one). From the prologue I knew this was going to be a fantastic read. Do you know why? This might be a bit spoilerly, but you'll understand after reading the prologue; Ivory and Bone is told through the eyes of the main character, Kol. But what makes it unique is that he is telling a story, that has happened in the past, to another another character. It is evident in the use of "you" and "your" and I just find this so unique. It is like Kol is telling you the story, but it is actually to one of the other main character. I'm awed at how the author could pull it off. I actually adored each character, especially Kol. He is brave and selfless and even though Mya keeps pushing him away, he is determined to prove his loyalty and worth to her. I can definitely see the Pride and Prejudice vibes through Ivory and Bone. This book was recommended to me by my dear GR friend Luke ! Click on his name to read his review. When I heard about this book I didn't think much of it. It didn't sound like my kind of read so it quickly escaped my mind. It wasn't until I saw Luke's review that I considered reading it. It was in my library so I put it on hold. Unfortunately this book was not for me. The writing style is written as such that Kol is narrating the book to Mya who is the love interest. This did not work for me. It came off as creepy. Kudos to the author for doing good research and writing a different narrative. Hach ich muss zugeben, dass ich ziemlich gespalten bin. Das Setting ist toll, gut recherchiert mit vielen Details zu Werkzeugen etc. Und auch die Liebesgeschichteeschichte um Kol und Mya ist okay, wenn man auf unausstehliche Frauen und Rückgratlose Männer steht. ABER es passt einfach überhaupt nicht zusammen. Die Geschichte ist viel zu modern und unrealistisch für diese Zeit. Leider eher enttäuschend. This was a quick but entertaining book. I have had it on my bookshelf since shortly after it had came out but didn't get around to reading it. I finally read it when the second book came out so I could read the series. I actually was really into the plot and enjoyed the characters. It is a prehistoric setting, which always turns me back into the four year old version of myself just waiting on the dinosaurs to show up. LOL no dinosaurs but still a really good read! 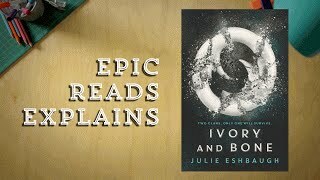 No spoilers in this review of Ivory and Bone by Julie Eshbaugh! I give it 3.75 stars. I thought the plot was simple overall, yet there were some small twists and turns that kept me guessing as the tale unfolded. The prehistoric setting was the most attractive thing about the whole book to me. The story centers on Kol, a young man growing up in a clan with no girls close to his age. For the small tribe to continue, Kol and his three younger brothers need to find mates from other clans. It’s a big No spoilers in this review of Ivory and Bone by Julie Eshbaugh! I give it 3.75 stars. I thought the plot was simple overall, yet there were some small twists and turns that kept me guessing as the tale unfolded. The prehistoric setting was the most attractive thing about the whole book to me. The story centers on Kol, a young man growing up in a clan with no girls close to his age. For the small tribe to continue, Kol and his three younger brothers need to find mates from other clans. It’s a big concern for Kol’s parents because they want to ensure not only the well-being of the clan but also the longevity of their family’s leadership. They come into contact with two other tribes, each with eligible young ladies, over the course of the book. But past conflicts interfere with some of the potential relationships. It is of utmost importance for Kol, the oldest son and thus the future High Elder of their clan, to find a wife and start a family. Yet it seems it is hardest of all for him to find a potential mate. 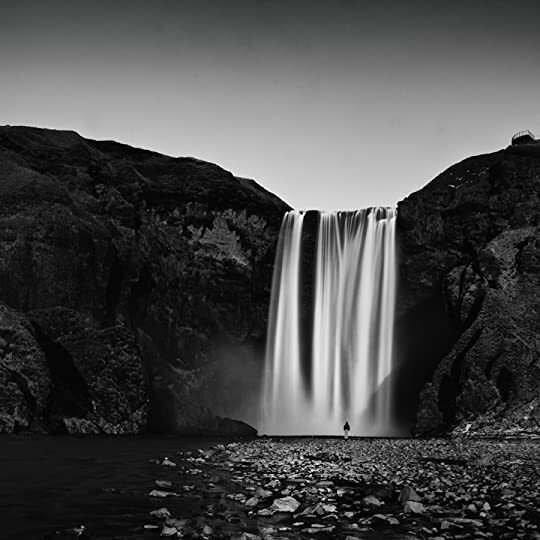 Ivory and Bone takes place during a time in history when there were no luxuries. Life was spent in survival mode, hoping for adequate food, warm clothing, and decent shelter on a day to day basis. While we’re not told the exact whereabouts of the characters, they live somewhere in the brutal north. I could almost feel the cold Esbaugh described in certain parts of the book and sense the desperation of the people as they searched for adequate food and shelter. Kol definitely grew on me over the course of the book. I was skeptical about one of his potential matches, Mya. She seemed like she might ultimately be the one for him, yet I wasn’t sure I liked her and didn’t understand her attitude. Yet overall, Eshbaugh did a good job of slowly unraveling the small mysteries surrounding these three clans and explaining the intentions of several of the secretive characters. I recommend Ivory and Bone if you’re in the mood for a book mostly driven by love stories. There is some action and adventure, but the need to find matches for Kol and his brothers is always at the core of the story. It is a book I consider to be true YA, and it sets itself apart with its unique setting and goals for its main characters. While I got a slow start on this book, I read the last half of it quite rapidly as the intensity ramped up a bit. I am excited for book two, Obsidian and Stars, to see what’s next but am surprised to see its description here on Goodreads. It’s going a direction I didn’t expect, yet I am excited to see what’s next for Kol and company! Ivory and Bone is set in the mammoth hunting era of prehistory, and the constant cultural infusion was easily my favorite part of the book. It was doubtless a lot more fanciful than life in that era would’ve been, but I didn’t mind because it kept the plot light-hearted and fun, and allowed story focus on the relationships. The book is supposed to be a creative retelling of Pride and Prejudice. Interestingly enough, it was only after finishing the it that I was clued into this fact (sometimes it Ivory and Bone is set in the mammoth hunting era of prehistory, and the constant cultural infusion was easily my favorite part of the book. It was doubtless a lot more fanciful than life in that era would’ve been, but I didn’t mind because it kept the plot light-hearted and fun, and allowed story focus on the relationships. The book is supposed to be a creative retelling of Pride and Prejudice. Interestingly enough, it was only after finishing the it that I was clued into this fact (sometimes it really helps to read the overview). As I’m not one for classic literature, I didn’t put two and two together, but in hindsight it was kind of obvious. During the read, I had a few issues with logistics – there was a lot of traveling back and forth between clans which felt a little forced and unnecessary. Discovering that Eshbaugh was trying to stay true to a pre-existing plotline made me a little more forgiving. As the next book goes beyond that initial framework, I am especially excited to see what the author can weave without these constraints. The writing style and format were also major selling points of the novel. A boy tells his side of things to a girl about their journey together thus far. It’s a mix of first-person and second-person narration that I found to be quite beautifully woven together. As an aspiring writer, I’m inspired by the creativity and usage of different techniques in this novel – it was very well done. I’ll admit that I’ve been having difficulty enjoying Young Adult books lately, so it really speaks to how unique Ivory and Bone was that completely devoured it in a day. Overall, if you’re in the mood for a cool setting, interesting writing style, and classic love story Ivory & Bone is the book for you. I’m thrilled to continue on with Obsidian and Stars, out June 13, 2017. Ivory and Bone is a prehistoric fiction (not fantasy as it says in the summary) tale about three different clans reestablishing contact with each other for the ostensible purpose of finding good matches for some of the younger members, but in doing so, they also have to face the difficult history that exists between them. The book is quite elegantly written as a story told by one character to another, and while it starts out as slow burn drama, it really picks up around the two thirds mark. Prob Ivory and Bone is a prehistoric fiction (not fantasy as it says in the summary) tale about three different clans reestablishing contact with each other for the ostensible purpose of finding good matches for some of the younger members, but in doing so, they also have to face the difficult history that exists between them. The book is quite elegantly written as a story told by one character to another, and while it starts out as slow burn drama, it really picks up around the two thirds mark. Probably the pacing could have be improved somewhat as the book takes awhile to get going and then ends pretty quickly just when things have started to get interesting. Also, it could just be me, but it seemed like everyone was able to just let go of their issues no matter how deeply held and long standing they might be. It did make me wonder how these people would ever have had any real conflict about anything in the first place. The preview introduces us both to Kol, a surprisingly sensitive hunter in his tribe, and one of his tribe's biggest concerns, a shortage of females. BUT. Today there are visitors from a Southern tribe, two of them young, unmarried women. The combined group go hunting, probably to prove the ability of Kol and his younger brother to provide to the visitors, but the hunt doesn't go as planned. I was lucky to read an advanced copy of Ivory and Bone. I love historical fiction, and I was so excited to read this book, set during prehistoric times. The main character is Kol--seventeen, compassionate, and strong. I liked him from the very first page. The world-building in Ivory and Bone is amazing--with lovely sensory details and descriptions. A prehistoric setting is something new for me, and reading this story was a lot of fun. In addition to this, I found the message of the story to be p I was lucky to read an advanced copy of Ivory and Bone. The world-building in Ivory and Bone is amazing--with lovely sensory details and descriptions. A prehistoric setting is something new for me, and reading this story was a lot of fun. In addition to this, I found the message of the story to be particularly meaningful--about the risks of living a life of vengeance.